“A man’s pursuit of knowledge is greater than his shortcomings, the limits of his vision.” The words of Natasha Trethewey, the former United States Poet Laureate, resonate with the MLA’s , which aims to advance humanistic inquiry as resources and support for the humanities diminish. Trethewey is among the distinguished guests who will headline the MLA Benefit for the Humanities in Chicago. 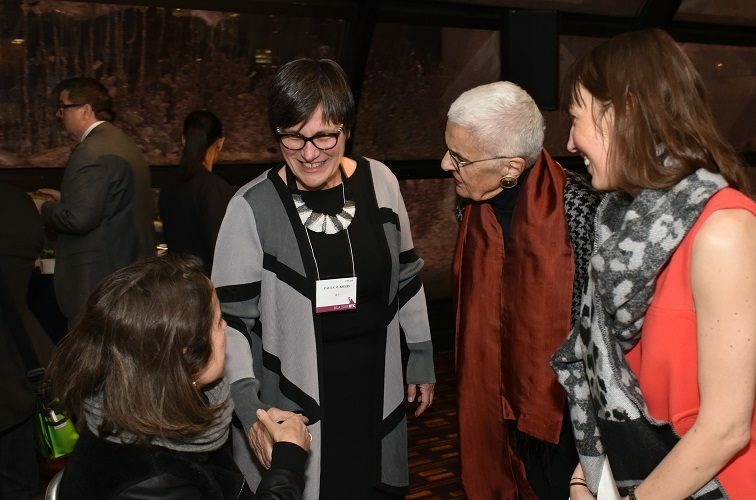 Proceeds from the benefit go toward Paving the Way’s programs, which include grants and career development for students and young faculty members, workforce-fairness initiatives, and humanities advocacy. The 2019 MLA Benefit for the Humanities will take place on Saturday, 5 January, and will feature a special reading by Tretheway, whose many honors include the Pulitzer Prize for poetry. Her reading will be followed by a discussion on free speech with Geoffrey R. Stone, a leading scholar of the First Amendment and professor of law at the University of Chicago. Stone is the winner of eight national book awards and a contributor to The New York Times, Rolling Stone, and The Economist. He will be in conversation with Rachel Davis Mersey, a professor at Northwestern University’s Medill School of Journalism and specialist in news media, identity, and democracy. The robust program reminds us of the continuing social, cultural, and political salience of language today. As words travel faster and farther and reach more people than ever before, the study of language is increasingly critical. Paving the Way protects and promotes the language arts by raising funds for graduate students and early career educators. Through their scholarship and teaching, they help us, as Trethewey put it, overcome our shortcomings and broaden our vision of the world. To attend the event or donate to the Paving the Way campaign, please visit the Benefit for the Humanities Web site.